If you have not already registered as a principal or prospect, click here. 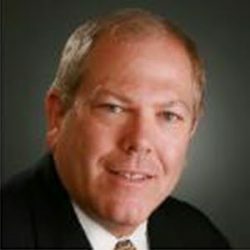 James Gutentag has over 40 years’ experience in the hospitality industry as a sole proprietor of off-premise catering businesses, gourmet retail food establishments and wholesale private label manufacturing of gourmet prepared foods. His career started after graduating from American University in Washington DC with a Bachelor of Science Degree in Marketing and Finance. Mr. Gutentag joined his family owned and operated food business to help accelerate growth, which quickly transitioned to opening an additional retail store, building a 10,000 square foot food production commissary which supported his well-known off premise catering company, James Caterers and a wholesale manufacturing private label division providing high quality foods to gourmet markets in the NY/NJ/PA tri-state area. For the past 8 years Mr. Gutentag has been managing high volume banquet facilities as well as consulting to catering venues. He has recently joined the sales force at Bielat Santore & Company. His experience gives him a deep understanding of the criteria involved in evaluating buyers and sellers and a keen awareness into the process of positioning serious prospects into the right business and/or property. He provides his clients with an insightful and straightforward perspective to help them make the right decisions. His primary territories for business are Morris and Essex counties. He enjoys spending time with his family, a father of three girls, grandfather two girls and a devoted husband of one wife. Are Take-Out Apps Worth the Investment for Your Restaurant? © 2018 Bielat Santore & Company. All Rights Reserved.